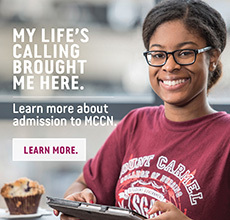 The best way to know whether Mount Carmel College of Nursing is right for you is to visit us and experience our campus and college community for yourself. Join us for one of our lively gatherings to learn more about the nursing program, tour our campus, and meet college representatives who are eager to answer your questions and help you explore your professional goals. **Lancaster campus Open House Events are for the Traditional Four-Year Program at Lancaster campus ONLY. This does not include the Advanced Placement Program, the Second Degree Accelerated Program, or any Graduate Programs. To register for an Open House, please use the Open House Registration Form. For more information, please call 614-234-5800 or you can also contact us at admissions@mccn.edu. You'll want to dress casually and wear comfortable shoes. Each session lasts about two hours and includes an optional walking tour. Light refreshments are provided. PLEASE ARRIVE 30 MINUTES PRIOR TO THE START OF THE PROGRAM FOR REGISTRATION.